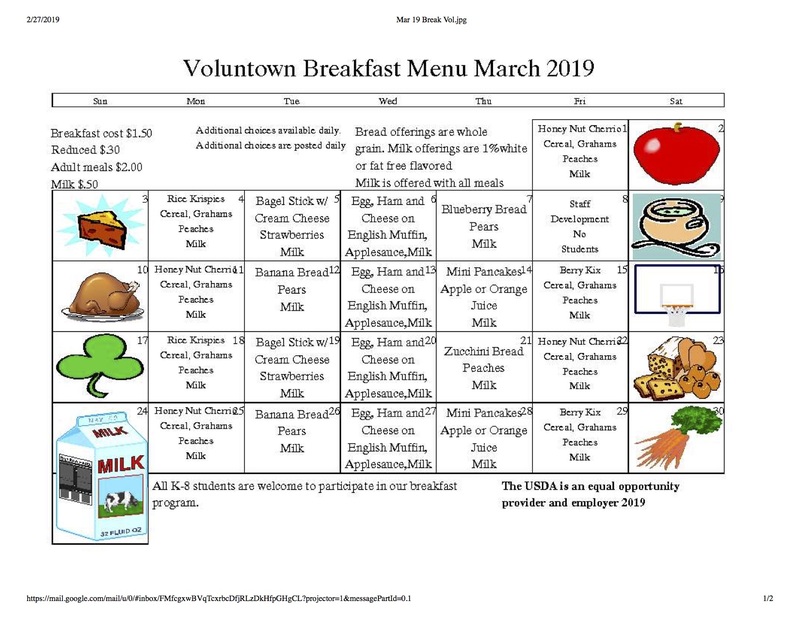 Welcome to the Voluntown Elementary School Nutrition Program! 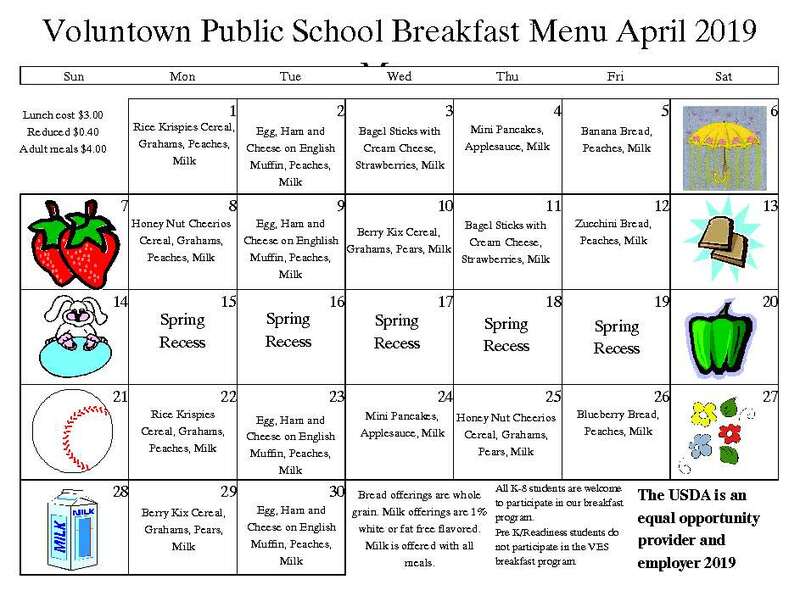 All K - 8th grade students are welcome to participate in our breakfast program everyday! Serving time is upon arrival at school between 8:30 and 8:50 A.M. The price is $1.50 paid, $0.30 for reduced or free (if qualified). 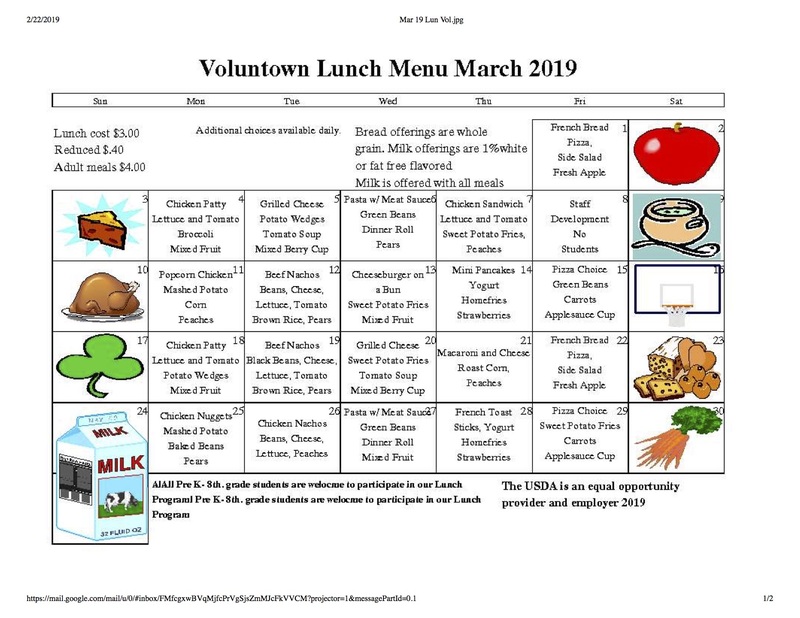 All PreK - 8th grade students are welcome to participate in our lunch program everyday! The price is $3.00 paid, $.40 reduced or free (if qualified). 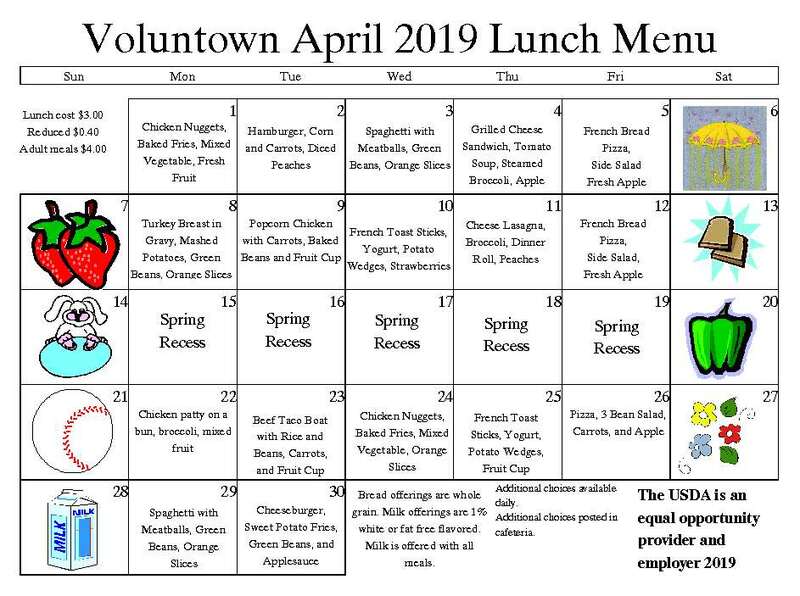 When sending in lunch money or checks for your K-8 child's lunch account, please identify the student's first and last name with the grade and lunch number. Thank you! OR Contact 211 for a Summer Meal Location Near You!